The Berlin Tech Meetup is a bi-monthly event for fellow geeks, hackers, entrepreneurs and investors. Watch companies show-off their technology and demo exciting products. Demos will typically be 5 minutes, followed by 5min of Q&A. Next to the demos, we typically have 1-2 panels moderated by our host. Check out our YouTube channel for past demos and the kind of things we are looking for. If you want to demo your product, please reach out to us via the Contact button on this site. 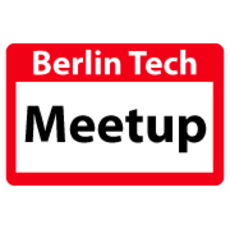 Please note: We will never send out promotions for other events or 3rd party offers, other than those of the Berlin Tech Meetup itself. The Berlin Tech Meetup is brought to you by Vertical Media and Fly Ventures.